Over the years, Ken Garff has become Utah’s first choice for superior repair and maintenance for all makes and models of vehicles. Our skilled auto technicians have the expertise and experience to get your car, truck, or SUV into top condition. Whether your vehicle needs an oil change, tires, fluid change, alignment, tune-up, or repair, we’ve got you covered. 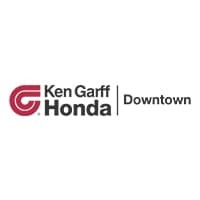 See how how our prices compare to other service centers so that you can be sure you are getting the best center experience possible at Ken Garff Honda Downtown. The service center experience includes: convenience, value, customer service and waiting room ammenities such as Wifi, refreshments, and television.